It's easy to let the camera rotate around its own axis, but what if we don't want that - but instead want it to rotate around an object we selected, very much like a satelite orbiting around a planet. 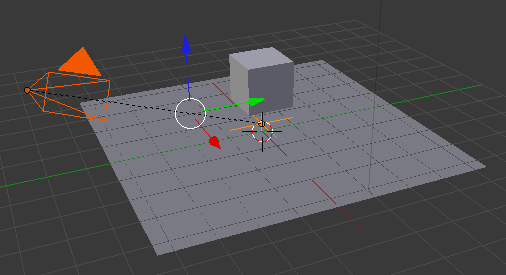 Add a plane (shift+a, mesh/plane) and scale it ("s"). press "ctrl+p" to 'parent' them together. select the 'empty' and press "r, z" to turn it around - the camera will orbit around your "empty"